Øvrige oplysninger Description: Only 18 demo hours. 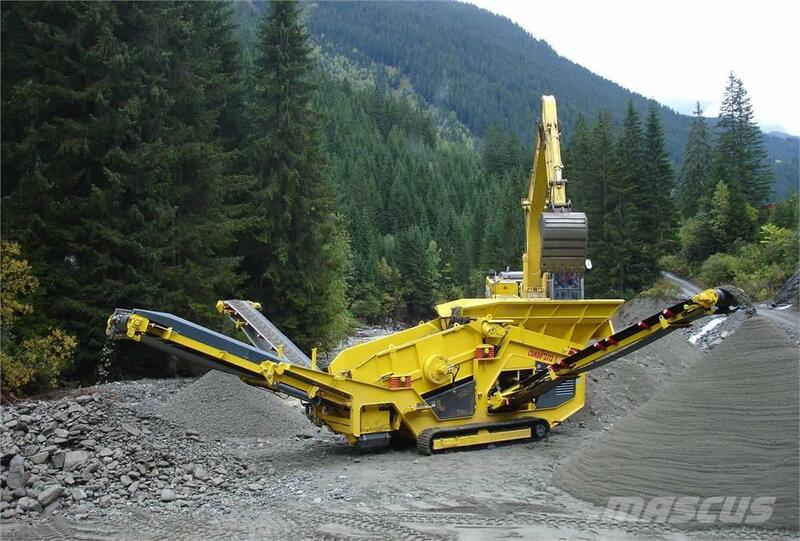 Remote control, rubber belt feeder. 7.8yd hopper (11' feed height), 4'x9' screen box. 40"x15' overs conveyor and 2-26"x26' conveyors (for fines and mid fines).